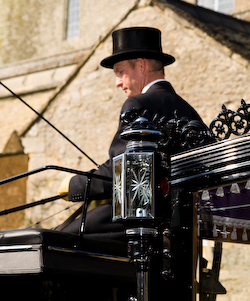 For a dignified farewell, our original Victorian hearse comes complete with two black Fresian horses. We dress the horses with traditional feather plumes and decorative black side drapes, with a silver trim. Our staff are courteous and wear full livery. We pride ourselves on our professional and respectful service.